The 2018 National Road Safety Conference will once again include a series of optional workshops, with three topics already confirmed. The 10th edition of the National Conference will take place at The Grand in Brighton on 27-28 November and is once again sponsored by Colas, insurethebox and Jenoptik Traffic Solutions. This will be the second time the conference has been held in Brighton, with the 2014 event also staged at the same iconic venue. In total, almost 200 people have already registered to attend. First piloted in 2016, Pick my brains is an optional session at the end of the first day in which experienced road safety practitioners, advisors and academics provide advice and help in a workshop environment. At present there are three confirmed workshops, but more may be added in due course. The first workshop, ‘Accessible Academics’, is being facilitated by Dr Helen Wells and Leanne Savigar from the University of Keele. The workshop will explore ways in which closer links can be forged between academia and practitioners; while looking at the challenges that both ‘sides’ face in turning academic research into practical policy, and considering ways in which any barriers can be overcome. The second workshop is titled ‘Behavioural Science – five key insights from that will help you change behaviour at scale’. 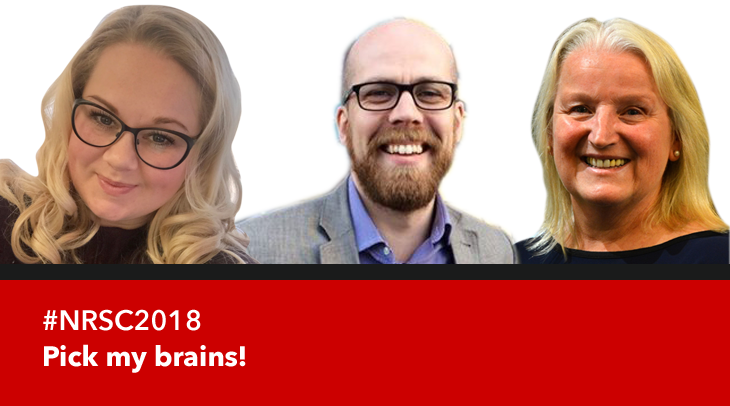 Facilitated by Phil Rigby, Dr Holly Hope Smith and Nicola Wass from So-Mo-Co, this session will provide attendees with ‘five key insights which drive measureable and sustained change’. The workshop will also distil the insights most relevant for changing behaviour in a social setting. It will cover mind-sets and unconscious biases – and show how ingrained attitudes, beliefs and behaviours are shaped in individuals and institutions. The third workshop will focus on ‘The ADI Client Centred Learning Course’ which helps driving instructors to develop a deep understanding of what CCL is and how it can be applied to driver education. The course was developed by Road Safety GB Academy and is delivered by local authority road safety teams once they have become an accredited course provider. Transport for Bucks is a course provider, and in this workshop June Howlett, road safety officer, will explain how the course is arranged and delivered in Buckinghamshire, and why other road safety teams should consider delivering it in their local area. The 2018 National Road Safety Conference will set out to demonstrate how road safety professionals can combine the four ‘E’s’ – education, enforcement and engineering, underpinned by evidence – to deliver casualty reduction improvements, despite challenging budgetary and resource constraints. The 2018 National Conference will also once again include The Fringe which runs alongside the main programme, and on day two the Big Debate/Hot Topic and the ever popular Question Time session. 16 organisations have already registered to participate in the exhibition which runs alongside the conference and will be limited to around 20 exhibitors. Click here to register to attend the conference or here to participate in the exhibition which runs alongside the conference. For more information contact Sally Bartrum (delegate registration and exhibition) or Nick Rawlings (speakers and agenda) on 01379 650112.